Very proud of my daughter Cindy. 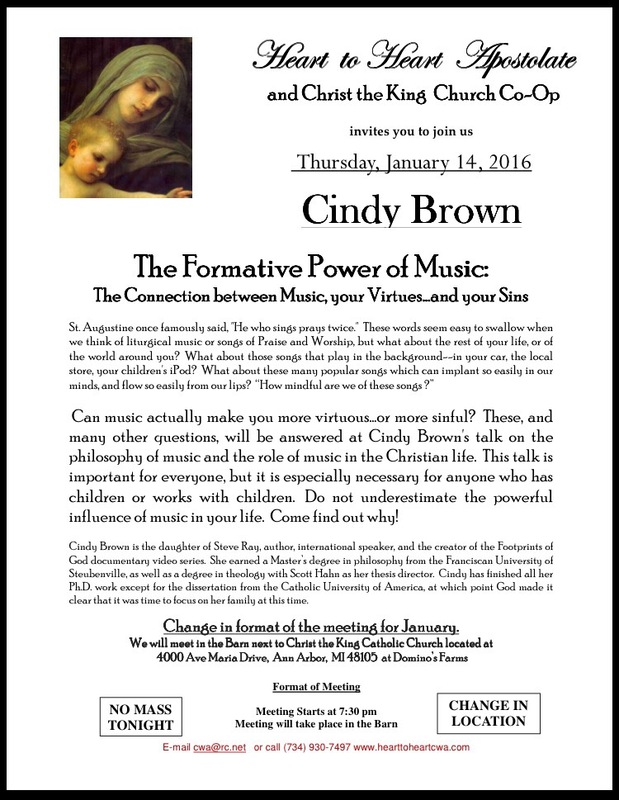 On January 14 she is giving a talk at Christ the King in Ann Arbor Michigan. The title is “The Formative Power of Music: the Connection Between Music, Virtue…and Your Sins” where she draws from her wealth of philosophical knowledge and personal experience. Limited seating. For more info visit Heart to Heart.